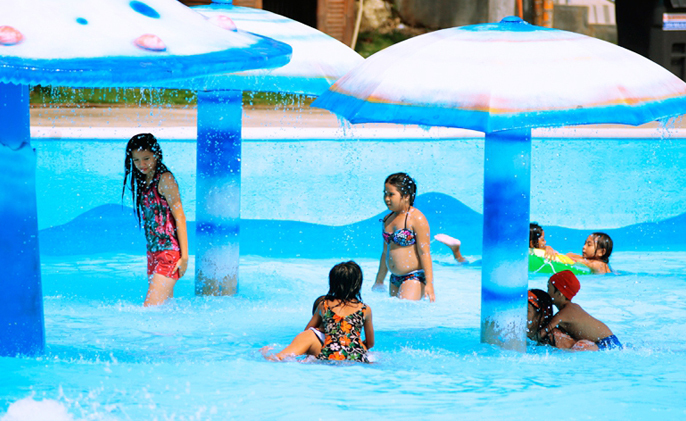 Haciendas De Naga is an excellent venue for birthday parties, reunions, banquets, and other social events. Haciendas De Naga has so many wonderful spots for your events and celebrations. Haciendas De Naga is an 82-hectare, master-planned development with lush, verdant settings almost anywhere you turn. The possibilities for a unique outdoor event experience are virtually limitless. Tell the Haciendas De Naga events team what you envision for your event and they should be able to suggest the ideal outdoor event venue for you. Your party, reunion or banquet may be set up at the Clubhouse grounds. As the sun sets and the lights of the Clubhouse come on, one by one, the Clubhouse looks like a sparkling gem that serves as a superb backdrop for your outdoor event. If you would like, you could have your outdoor event set up around the pool. You can use the cool, sky-blue pool to set the atmosphere for your party, or you could make your event a pool or swim party. 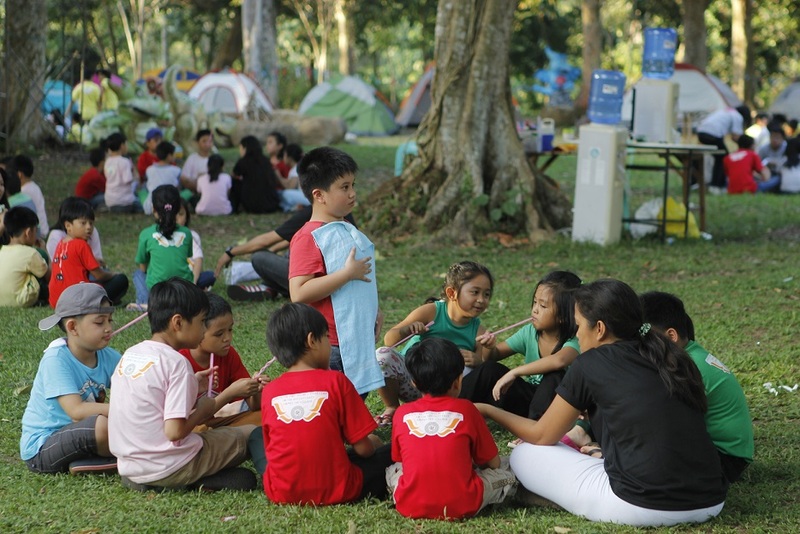 You can also have your outdoor event set up at the camp grounds, the pili park, near the fishing lagoon, at the dinosaur park – or anywhere else, for that matter. You can have an outdoor party like no other, full of games and activities that will not only make time speed by but ensure that your guests will have the best time of their lives. 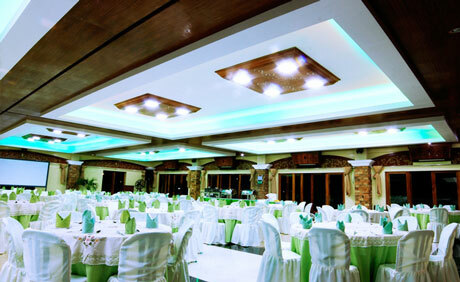 Haciendas De Naga has a large ballroom that makes an elegant indoor events venue for a birthday party, a debut, a ball, banquet or other such affairs that require an elegant setting. 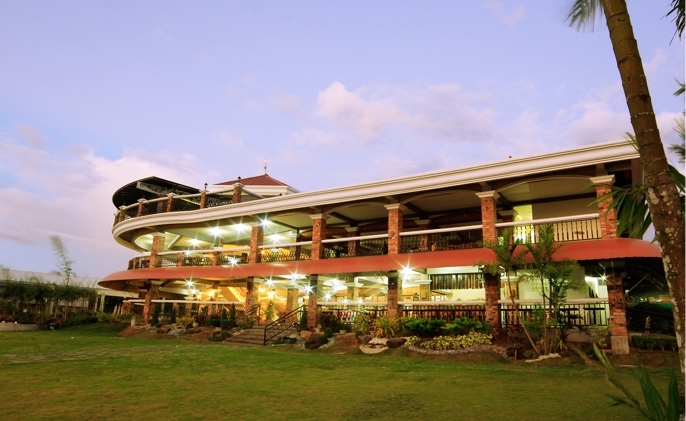 The Haciendas De Naga Indoor Events Venue or function hall can be set up according to the mood and vibe you are aiming for, and it is equipped with presentation equipment and a sound system. The resort not only provides the event hall set up; it also provides catering for the all-in-one events arrangement that ensures you get everything you need for your event in one place. Book your indoor event, tell Haciendas De Naga what you want to achieve, what food you’d like and forget about it until the event date. That’s easy and stress-free events-planning for you.